One of the big mistakes that business owners commit as they start a business venture is having the same bank account in their business and their personal use. Ideally, your personal account should not be used in any connection to your business liabilities. There are two main reasons for this: One, having a separate business bank account for your business is ideal because it will be easier for the business owner to keep track of his/her business expenses. Secondly, filing for the IRS can be done immediately as business records of your spending are categorized properly. This method is believed to be an excellent accounting practice for any individual who wants to be in business. Now, you might have some concerns: Should I really apply for a new bank account for my business? Will it cost me money to apply for a new one? Do I have to open a business bank account with another bank or can I have it on the same bank as my personal account? There, there calm down and let us carefully sort all these things out. Should I really apply for a new bank account for my business? The answer is a big YES and I encourage you to do so. Aside from an easy record keeping and tracking of your finances, this will help you spend wisely. You will be able to properly allocate your money to important payments and expenses –salary of your employees, payment of your office space and filling the IRS are just a few to mention. Do I have to open a business bank account with another bank or can I have it on the same bank as my personal account? Business and consumer/personal banking often have different policies depending on what type of banking method you are involved in –business, loan, etc. Some banks are specialists in accommodating small businesses, while others are more focused on providing top-class services for personal banking concerns. This could mean that your previous bank might not be the best bank for your business. Do your research and talk to the teller about your concerns. Know what they specialize in and what offers they can best recommend for your business. Will it cost me money to apply for a new one? Most of the time, businesses use checks when transacting with other businesses. This is convenient for business owners. Many of the banks in your area will let you open a checking account free of charge –a simple catch? You have to maintain a certain balance in your account. Also, keep in mind that since you are starting, there will be limited number of transactions allowed -although for a small business, this would already be enough. So, how do I open a business bank account? After a careful consideration of which bank to choose, you can just go to the bank and bring the following requirements. For sole proprietorship/consumer, ideal for small businesses, you will be required for a tax ID and a social security number. The teller will walk you through the entire application process. Opening your business bank account is that simple. You are now on your way to your business’s financial management success! If you want to expand your business circle, bidding for government projects can be a good thing for you. But before you can participate in federal bidding, you need to obtain a DUNS number. So, what is a DUNS number? DUNS stands for “Data Universal Number System”, copyrighted as “D&B” by Robert Graham Dun and John M. Bradstreet in 1963. This unique 9-digit reference number system is used globally for all businesses. The numbering system is very important as all government bidding projects will require a business/company to have a DUNS number. In addition, having a DUNS number can also help you get federal grants for your business. As this universal system links more than 7 million businesses around the globe, this numbering system links all related companies, subsidiaries, headquarters and branches of more than 50 global industries and trade associations. Moreover, the world’s most influential standard-setting organizations like the UN, the US Federal Government and EU acknowledge the D&B system. Take note though that your DUNS number does not establish your D&B credit file. To show that your business is trustworthy, you have to establish first a credit file for you company/business. Getting a DUNS number is fairly easy and it is for free! What is even greater is that you can apply for it online. Just follow the steps and you can now start bidding for federal projects. Have all the information on hand. You need to have your legal name, the name and address of your business, contact information such as telephone number, and the number of your employees. You should also let them know if do your business in a home-based setting. It is very important that all information are authentic. Type in your browser, fedgov.dnb.com/webform. This is a direct page to the D&B website. Click on “request your number via web” and follow the instructions. You will then be taken to the next page where you are asked if you want to update your DUNS profile. This is only necessary if you have already registered before or if you want to make changes in your account, otherwise, proceed with “request new DUNS”. Enter your business name and city. At this point of registration, once you have entered your business name and city, click on “search” and let the site look up for your company. If your business isn’t found in the search, click on “request a DUNS number” just below the page. Follow the instructions. Notice the timeline in the upper page. You will then see how much further you will have to go to access a DUNS profile. There are identity verification and security settings that need to be set-up. Just go through it as each doesn’t take much time to complete. Congratulations! You now have your DUNS number and profile set-up. Happy bidding! Do you ever dream of becoming your own manager? Are you itching for a business idea you want to make happen yet do not know how to start? For every business venture, there are risks that everyone has to make –especially the owner. Plenty of people dream to become their own bosses yet are too afraid to make a difference. Starting a business is not rocket science but with great knowledge and hard work, there is no reason for your business not to become a success. Here are some of the steps for you to start your own business. I have sorted out the 3 most important aspects you should take note –the planning aspect, the financial aspect and the business marketing aspect before you start your business, whatever it is. Plan ahead for your business. A plan is in the heart of every business venture. Big or small businesses make business plans to make sure they know where their business is heading or what their expectations are for the business. It is an essential ingredient that will guide your business’ direction. Make plans for a year upon starting the business, a short 3-year plan or a longer 5-year plan. Another essential part of this stage is knowing what type of business will you have. Consider your interests and passions. A good number people do not regard this choice as something important. They go out there and start a certain business base on the popularity of a certain product or service, although this may work for a short period of time, you will be up against that very reason in the long run. How will your business compete with newer business ideas? How will you deal with the same competition with a much cheaper price? Know your mission and vision. Why do you want to be in business? Why did you choose it to be your business? Where do you see your business in a year’s time? How much do you expect for a return of investment (ROI)? And for how long? Pick your partners wisely. If you are planning to do a business with a partner, think about who you do this with. Do you trust that person? Are you comfortable enough with them? Working with people you trust is important as there are fraudulent people all around. Know your bills. Starting a business can cost money. If you are thinking of renting a space, paying employees or paying state taxes, make sure you are able to get all of this together. 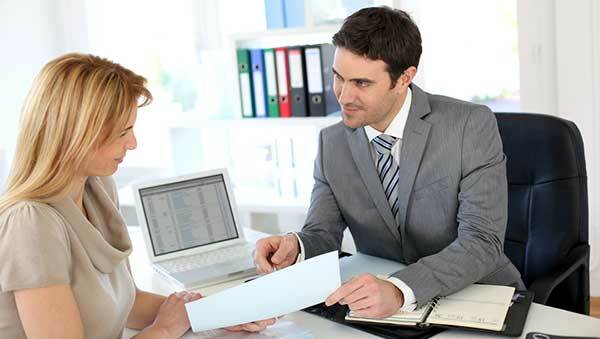 If you have a capital, you can hire an accountant to do the tallying of expenses for you. When you are starting a business, it would be a good idea that you get yourself out there and work on it hands-on. Study a little bit about finance and business management. Even little knowledge goes a long way. Experiment with your prices. Set your products’ or services’ prices competitively. Do not price too high on something people can buy much lesser from someone else’ nor set it low that you don’t earn interests. Have your payment mode set-up. Will paypal be a good mode of payment for you? How about credit card? Do you allow lay-away type of payments? Decide as to how you want to be paid. Make time for marketing. Marketing your business is very important. Be present in social media platforms, advertise on other people’s website and give free pamphlets about your business in your place. There are many ways to do your marketing for free, so make use of it. In addition, make sure that you treat your customers well – nothing beats a word-by-mouth marketing from people who have bought your products and tried your services who were satisfied. Create a website. Web sites allow people from all over the world be familiar with your business. If you have a tight budget, WordPress is a great tool to start your very own website. Be strategic. Do something unique in your business so people will recognize you. Offer freebies every 6 months or have a layaway payment for your goods. If you’re someone who makes do-it-yourself (DIY) products, organize meetings and tutorials for your customers if they want to learn your craft. As you get yourself ready for a great business enterprise, just relax. Take everything one day at a time. For the first few weeks or months, it is expected that sales may be scarce as you’re still starting out but take heart! With the right attitude and your knowledge, it will get better. So, what are you waiting for? Start your very own business today.